But let’s be honest. Most people don’t have time to research each activity to learn the foundational components that are being addressed. What is needed is a quick and easy reference that pairs skill-building tasks for children with straightforward and understandable parent education. 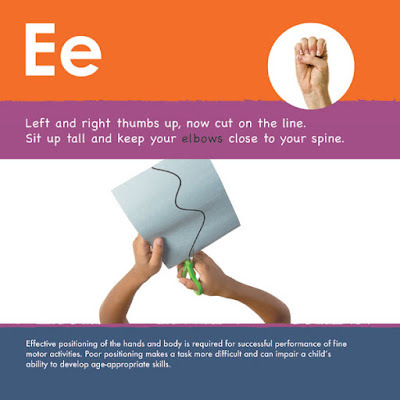 That combination has come together in Fine Motor ABC, an easy-to-implement resource with 26 targeted activities to develop foundational and functional fine motor skills. 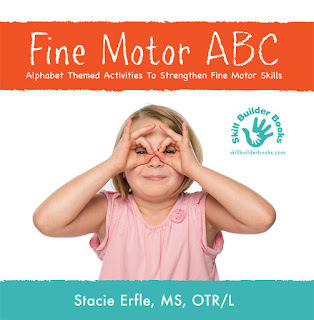 Fine Motor ABC from Skill Builder Books engages children with the WHAT and adults with the WHY while including an alphabet focus to facilitate literacy development, sign language to support kinesthetic learning, and rhyming words to reinforce cognitive development. them before a fine motor activity? Besides the wonderful alphabet activities this book offers, I truly enjoyed the incorporation of American Sign Language. 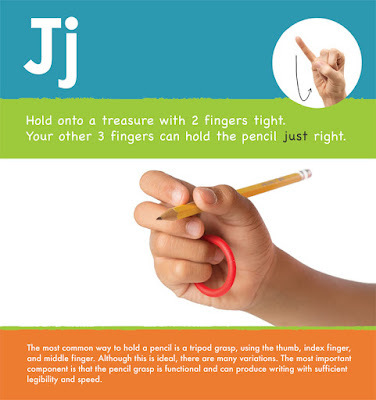 This is very beneficial for my students who have speech and language delay. This activity is my favorite! help with proper pencil grasp? Most of them I bet! truly benefit from this activity. Who wants a free eBook??? Enter the Giveaway for the chance to win! What a wonderful resource for early childhood educators! My favorite fine motor activity is 1:1 correspondence with pinchers/tweezers and small items such as pom poms and themed erasers. Those are great! I often incorporate math as well, like placing the correct amount based on the numbers. It will be my first year teaching this school year! I've spent a lot of time in PreK classes during my internships & service learning. I love how the PreK team I will be joining encourages the students to use "alligator fingers" to develop their fine motor skills with picking objects from a bin. 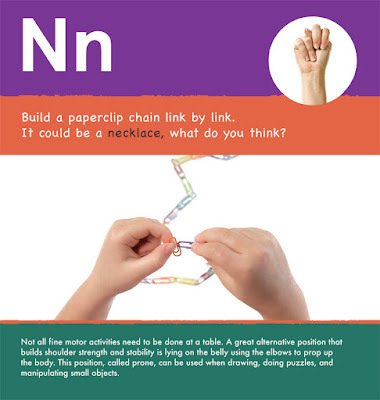 Alligator fingers are a great way to promote small motor skills development. I like using songs and finger plays to isolate each finger. 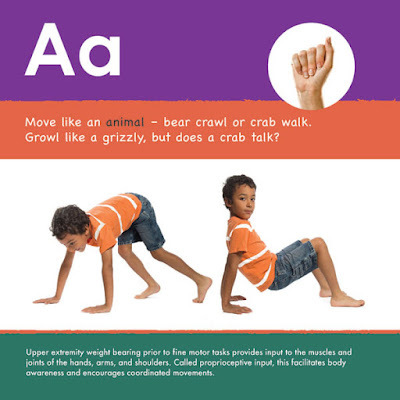 I will have to try the animal walks for upper weight bearing before fine motor activities! That's very developmentally appropriate! It's funny how some kiddos can't even show "thumbs up" at the beginning of the school year, and in a few months they're progressing tremendously.